No other music festival brand has executed a global conquest of quite the scale as that of Ultra Music Festival – and now that it boasts events in South Africa, Brazil, Croatia and Japan, it doesn’t look like it’s going to stop anytime soon. The company announced earlier in the year that their newest addition would take the form of Ultra Singapore, and they’ve just revealed the phase one lineup. 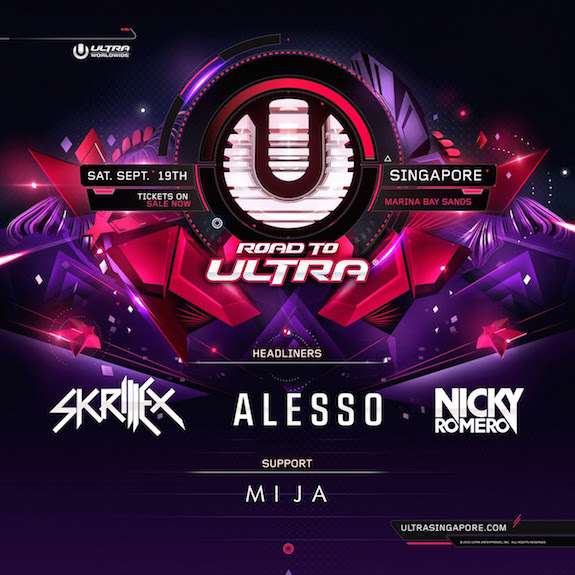 Topping the bill for Ultra Singapore will be heavyweights Skrillex, Alesso and Nicky Romero – as well as rising talent Mija, who’s deservingly been blessed with an ever-growing fan base since Skrillex signed her to his OWSLA label last year. It’s curious that as of right now there’s no indication that Skrillex will perform as one half of supergroup Jack Ü, but if you’ve been reading our other Jack Ü coverage for a while, then you probably know that we’re not complaining. This year, Singapore stood among the East-Asian countries maintaining a tenuous relationship with electronic music festival organizers. 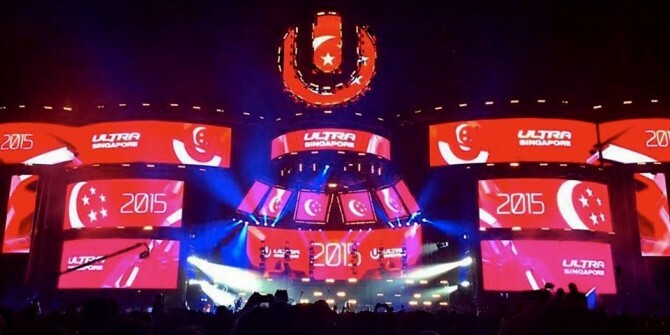 Singapore officials cancelled the Asian leg of Future Music festival – which was supposed to take place in the city of Kuala Lumpur – which many speculate led to this year’s tour being the traveling festival’s last. In light of these developments, tickets to the festival might prove more of a tough sell than the event’s organizers realize. Tell us, what new names would you like to see on the roster for Ultra Singapore before it takes place on September 19th? Sound off below!